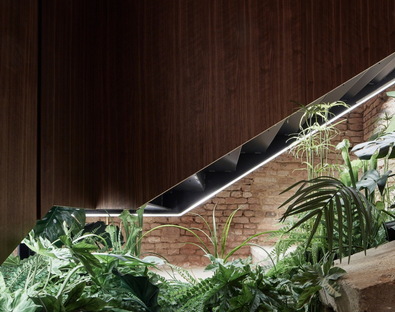 The Austrian architects from Büro KLK have designed Krypt Bar, a visually eye-catching and mood-setting venue dedicated to jazz music in the historical centre of Vienna. 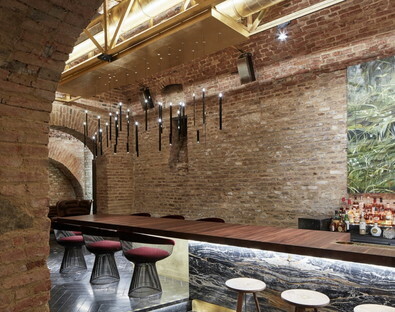 The Austrian architects from Büro KLK have designed Krypt Bar, a visually eye-catching and mood-setting venue dedicated to jazz music in the historical centre of Vienna. 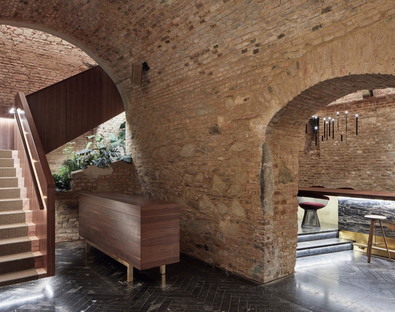 A great combination of genius loci and contemporary interior design. 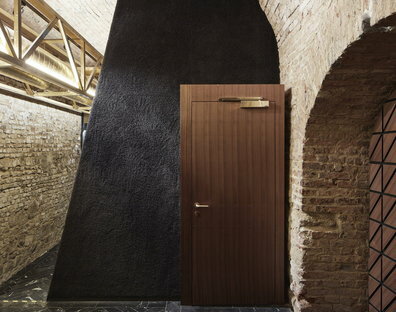 Büro KLK- the “office for systemic design” - is an architecture firm founded by Theresia Kohlmayr, Jonathan Lutter and Christian Knapp who worked together on convivial spaces in transitory places right from their beginnings. 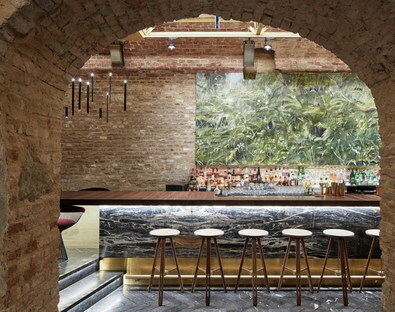 Krypt Bar has been crafted in the basement of an 18th-century heritage listed building in Vienna, located between Votivkirche and Sigmund Freud's apartment. 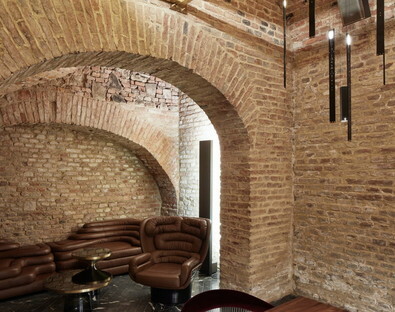 An architectural gem discovered purely by accident during renovations of the building, when workers found a bricked up staircase leading down to a cellar of about 250 square metres. Further investigations showed that it was a semi-legal jazz club in the '50s and '60s, showcasing famous names like Joe Zawinul and Fatty Goerge. 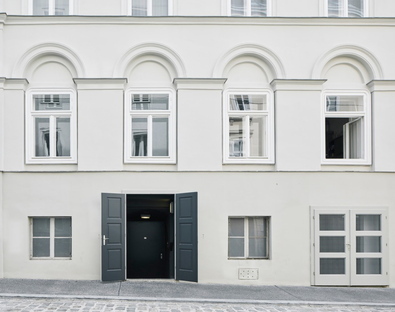 A place full of musical energy and positive vibes that has been brought back to its former glory by the delicate restoration work of Büro KLK. 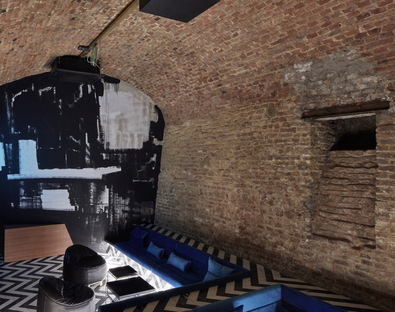 In keeping with the requirements for listed buildings, the designers left the bare brick walls and vaulted ceilings and inserted a load-bearing truss for engineering needs, ventilation, power and air-conditioning. 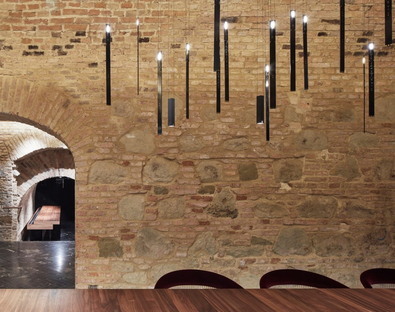 Büro KLK completed the rustic elements from the past with fine detailing, including marble and timber cladding and gold plating on some surfaces, as well as furniture and designer lamps like the Candle Light by Ingo Mauer.